At VMA Electric, we proudly install a range of alarm systems for homeowners and business owners alike in Westborough and Northborough, Massachusetts. Your home or office is likely one of your largest investments, and it deserves to be protected at all times, especially when you’re not there. As mentioned above, we can provide security alarm systems for you that come as part of the HAI Leviton home automation system. 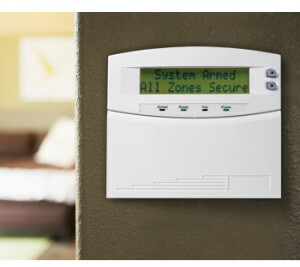 Not only will this system provide you with a reliable security alarm, but it will give you the ability to access virtually any electrical component of your home remotely, regardless of if you’re in your home or if you’re 1,000 miles away. So, if you want to make worrying about whether the stove is turned off or if the garage door is closed a thing of the past, be sure to inquire about how we can do so for you. If you’re interested in learning more about the alarm systems that VMA Electric supplies for homeowners and business owners throughout the Metro West area of MA, please contact us today. We are proud to provide service throughout Westborough, Northborough, and beyond.